The GLIACINTM Difference...Every Capsule, Every Time. "Unlike simple vitamins and minerals, not all botanicals are created equal. From the time the seeds and soil are selected to the time the pill is swallowed, much occurs to affect the overall efficacy, tolerability and safety of the preparation. In essence, the process becomes the product. To suggest otherwise reveals a lack of understanding of the very complex nature of these preparations. It's as inaccurate as saying, 'All wines are the same because they all come from grapes.'" 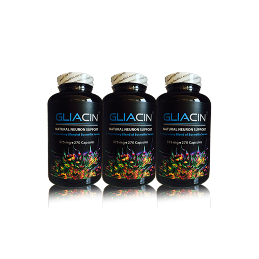 Founder and President, Glia Sciences, INC.
•Complementary "GLIACINTM Physician Consultation Program"